Among the 8 Kane County school districts included in the rankings, Geneva also received No. 1 ranking for: Best Places to Teach; District with the Best Teachers, and Safest School Districts, according to the 2018 Niche rankings. Geneva was named the 13th Best School District in Illinois among 408 school districts, and the No. 5 safest school district of 248 in the Chicago Area. Geneva has 5,839 students attending 10 schools in grades PreK-12. 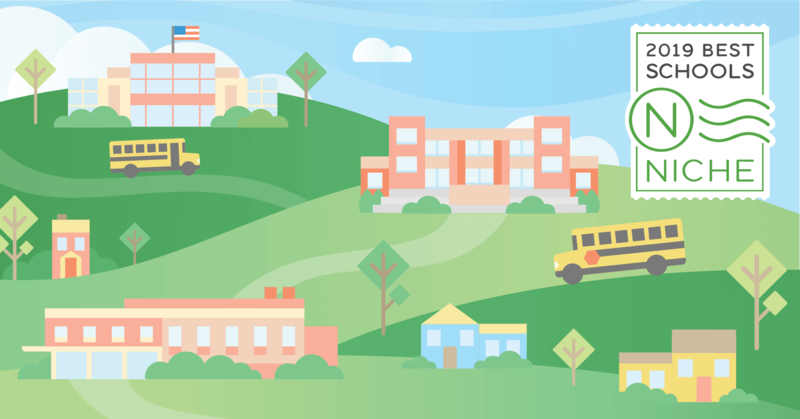 The 2019 Best School Districts rankings are based on rigorous analysis of key statistics and millions of reviews from students and parents using data from the U.S. Department of Education, according to Niche. Ranking factors include state test scores, college readiness, graduation rates, SAT/ACT scores, teacher quality, public school district ratings, and more. For more information, visit Niche.com.